Born in the barrio of Carlsbad, California in 1940, Victor Villaseñor was raised on a ranch four miles north in Oceanside. Since his parents were born in Mexico, Villaseñor spoke only Spanish when he started school. After years of facing language and cultural barriers, heavy discrimination and a reading problem, later diagnosed as dyslexia, Victor dropped out of high school his junior year and moved to Mexico. There he discovered a wealth of Mexican art, literature, music, that helped him recapture and understand the dignity and richness of his heritage. Victor returned to the U.S. at the age of 20. He began to feel the old frustration and rage return as he once again witnessed the disregard toward poor and uneducated people and toward the Mexicans. Then a chance encounter with James Joyce’s Portrait Of An Artist As A Young Man,changed Victor’s life. It awakened a desire to confront through literature the problems associated with his cultural heritage that continued to plague him. After producing 9 novels, 65 short stories, and receiving 265 rejections, Villaseñor sold his first novel, Macho!, which the Los Angeles Times compared to the best of John Steinbeck. This began a journey that would eventually lead to the publication of the national bestseller Rain of Gold. Used by thousands of teachers and school systems across the nation as required reading, Rain of Gold tells the story of Victor’s family, taking the reader from war-torn Mexico during the Revolution of 1910 to the present day. Villaseñor’s body of works includes a number of nonfiction books, all used in schools throughout the country: The first family trilogy Wild Steps of Heaven, Rain of Gold, and Thirteen Sense; the second family trilogy Burro Genius, Crazy Loco Love, and Beyond Rain of Gold. Other books: Jury: The People vs Juan Corona; Macho! ; Lion Eyes, and Walking Stars, nine short stories written especially to inspire youth. And a collection of children’s books, written for ages 2 to 200, each teach an important life lesson: The Frog and His Friends Save Humanity; Goodnight, Papito Dios; Little Crow to the Rescue; Mother Fox and Mr. Coyote; and The Stranger and the Red Rooster. The screenplay for The Ballad of Gregorio Cortez,starring Edward James Olmos, was also written by Victor. An upcoming HBO miniseries will be on Rain of Gold, and Thirteen Senses with Maya Pictures, Producer. 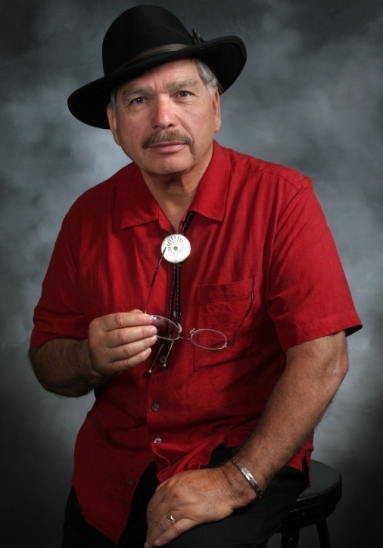 Villaseñor’s acclaimed written works, as well as his inspiring lectures, have earned him numerous awards and endorsements, including the Founding John Steinbeck Chair appointment. A gifted and accomplished speaker, Victor Villaseñor, in his candid and heartfelt manner, brings a fresh perspective to a number of universal themes, including pride in cultural heritage, the strength of family, dedication to education and personal achievement, the power of the written word, world harmony and peace.